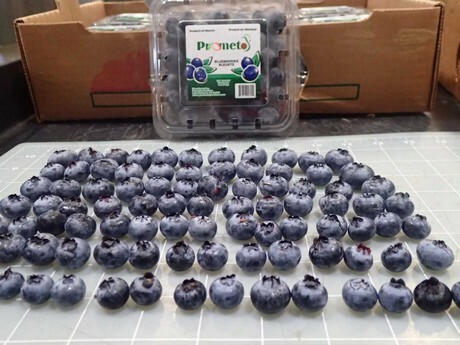 Prometo Produce, a supplier of berries and avocados from Mexico, has announced the launch of their blueberry program. The company has established a grower network in Michoacán which is just coming into season now. The inaugural shipment of blueberries arrived two weeks ago. 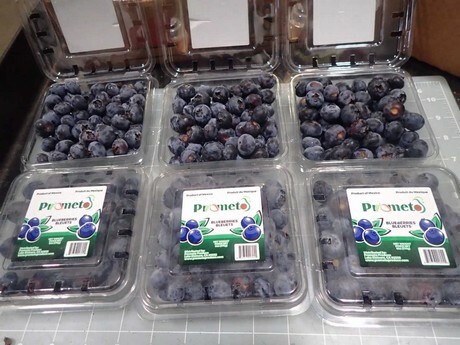 "We have just started importing blueberries from Mexico and our first shipment arrived on September 19 this year," shared Edward Guerra of Prometo Produce. "The season just began this month and is expected to go through to March." Prometo Produce currently imports blackberries from Mexico. The company said this has been successful and they want to emulate this with the new blueberry program. Guerra said that the first season will be the first steps towards matching the volume of what they supply with blackberries. "Our blueberry program is expected to import a good volume of cases this season," he shared. "However, the program is designed so that we will expect to be importing as much as we import blackberries, which is over a million cases a season. Our clients and producers have been encouraging us to do so because of the excellent performance and results Prometo have accomplished over the past years." "Our blueberries are going to be packed in 12 clamshells in a box each weighing 6oz," Guerra added. "Each of these pallets will have 240 boxes." The team from Prometo Produce will be exhibiting at PMA Fresh Summit in a few weeks' time. Guerra invited visitors to come to their booth to discuss more details regarding the new blueberry program. The company said they will also have a special surprise for visitors. "Attending PMA gives us the opportunity to gain credibility as a company and also meet new potential business partners," Guerra said. "We will have lots of information about our existing avocado and blackberry programs as well as the newly launched blueberry program. By visiting our booth, attendees will find more information about our company and can even share a refreshing beer." Prometo Produce will be at booth #408. 2019-04-26 "From how things are at the moment, we expect a good field harvest"
2019-04-25 "Shortly after Easter, the full range will be available in the stores"
2019-04-24 Poland: Soft fruit sector in Lubelskie - How to build a value chain?